SNES Controller: People are still now crazy about video games as the color, its energetic look, amazing sound quality attract people much. When they start playing the games the gamer travels in the world of adventure. These game are normally connected with wire to the TV. The experience gets better when video games are played with more players together in multi-player mode. As these types of the game required a joystick or controller so that action and racing games become easier to handle and play. Nintendo, the Japanese consumer electronics, and video game company had launched an amazing miniature machine. The fabulous device is flawless for playing classic games. Earlier, the SNES was featured with long wire which was including 8-bit predecessors. 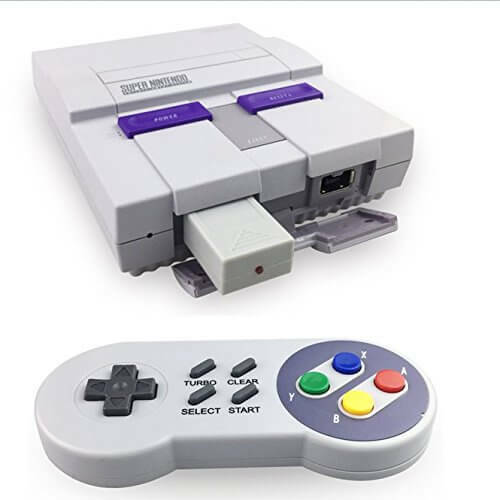 Now at this point of time, the SNES classic is coming with wireless features and had omitted the uncool wired connection as these connection are taking people into the big mess. If you have any queries relating to our articles, then you can visit Gadgetsay forum as your views are important for us. There are many wireless options manufactured by other different companies like Nyko and 8bitdo. These two are the best-known option for wireless SNES. 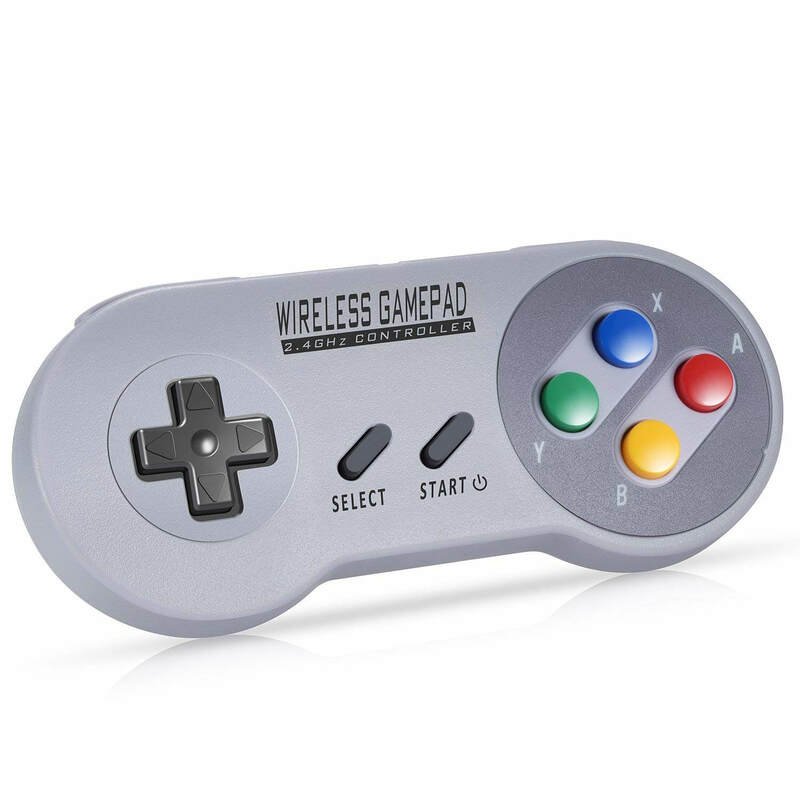 After emitting the wired controller you will have the great experience with wireless SENS of playing games like Super Mario World and F-Zero. By using wireless controllers, you don’t have to sit in just one position and play. Wireless controllers can be played from a certain distance from your television which will not affect your eyesight as well. The SNES controller can manage many video games that people are still looking forward. 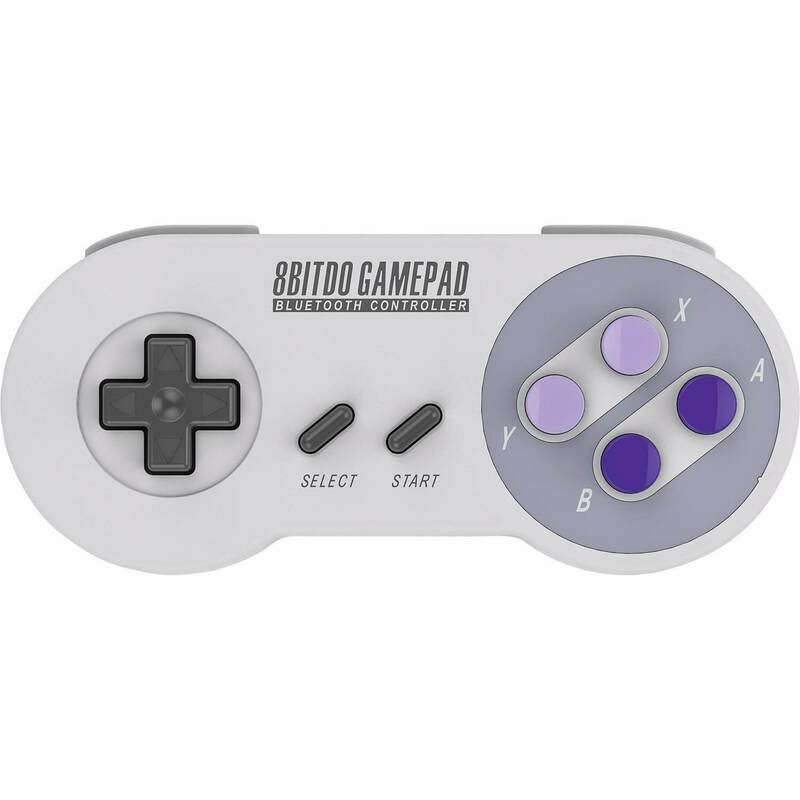 Gadgetsay reporters have gathered the top and best SNES controller you can purchase now and make your gaming experience more improved. So, let’s have a look at the features of these amazing products. 8bitdo has managed to get in the first position of our list. It is the most trusted brand for manufacturing controllers. The 8bitdo company is a well-known firm for the controller. It has manufactured its best device SN30 wireless Bluetooth controller which consist of new features and design. Moreover, the design is similar to the SNES or Super Famicom controller. You can easily handle the controller with the Wireless Bluetooth, and also with Micro-USB. It has the remote reset button function for NES and SNES Classic systems. It is compatible with Windows 7 +, Android 4.0+, macOS 10.7+, Steam and Nintendo Switch. The Urvoix is also an amazing company manufactured a 2.4G receiver which gives an extreme gaming experience with Nintendo Mini. When you are using the device for the first time just press and hold the “START”+”SELECT”+”UP” button for 1s so you can get into the Pairing Mode. The SNES controller is created with the rechargeable lithium-ion battery that is charged by micro-USB cable, and energy-saving. It is compatible with Windows, Mac, Linux, and Raspberry Pi 3. 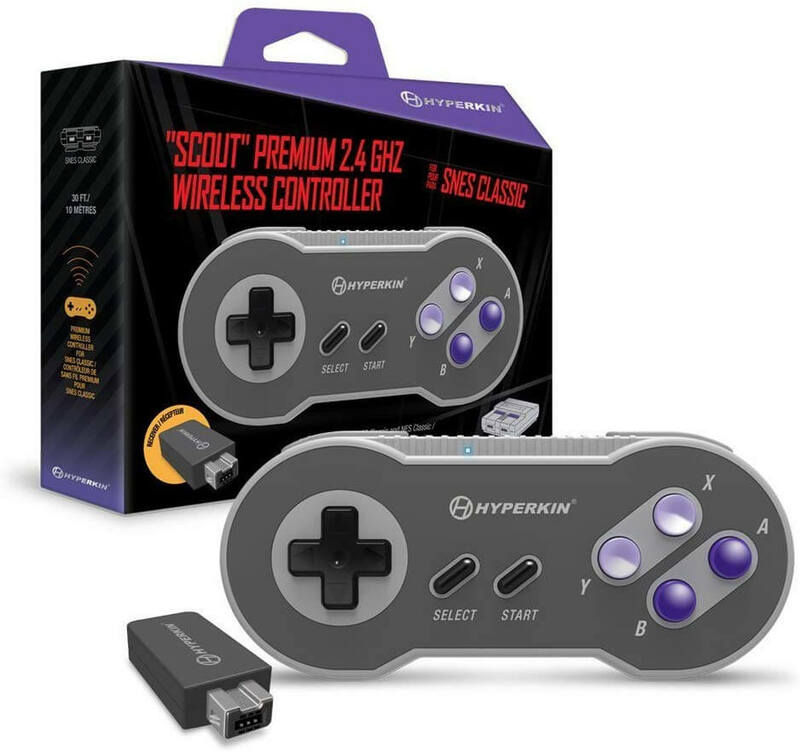 The Hyperkin Company has produced an advanced “Scout” Premium controller for the SNES Classic. The Wireless Controller has 2.4 GHz which offer new feature and excellent security. It is invented with high quality with relaxation, ergonomic retro design. You can also play in comfort with a distance of 30 ft. from your SNES Classic. The controller is compatible with the NES Classic producing an improved experience for your nostalgic adventure. It also includes Micro USB to USB cable for your convenience. The Zeato Company is a 2.4G wireless retro controller for SNES classic version and SFC classic edition. It is built-in with a lithium-Ion battery which lasts for long period. 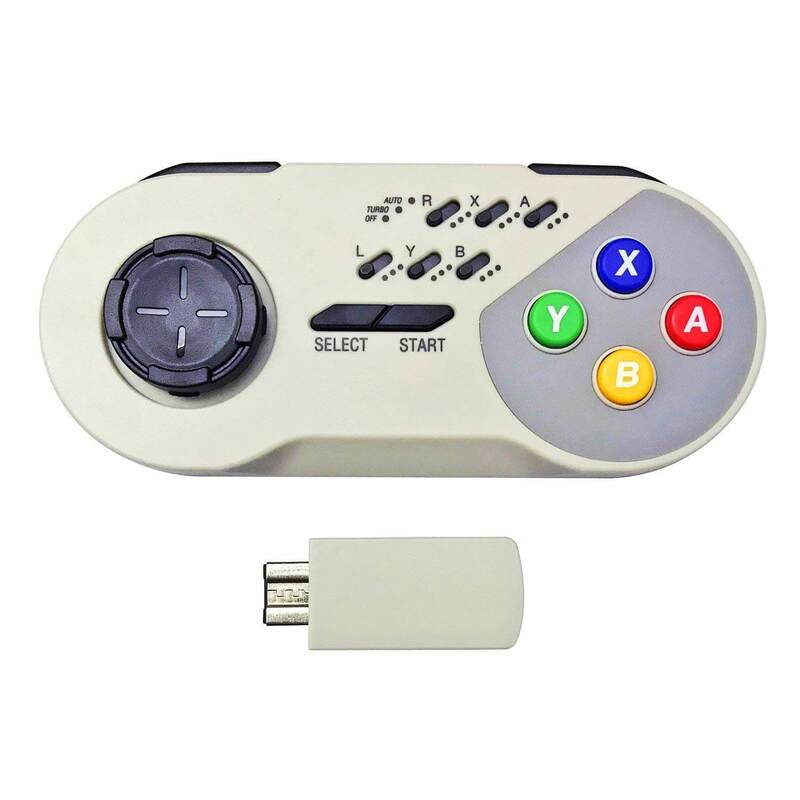 The USB receiver for the game emulator on PC or Android Devices. If you want to play with a partner and want to enable pair up mode just press and hold the start+select+up for 1s, you will notice that red LED blinks for 10s. Now plug the adapter into the controller port of SNES console the red blinking light stops and your controller is successfully linked up. HonWally Company has released wireless controller for Super NES Classic version and NES Classic. You can comfortably play from a distance of 24 feet. The battery once charged it work for 100 hours playing time as it consists of Lithium-Ion a rechargeable power. If you want to go back to the main menu press “Select” with the “Start” button. The controller is compatible with the SNES Classic version, NES Classic version, PC, and Android. You don’t have to reset on the console for SNES, NES Console. The iNNEXT Company has manufacture an advance featured Wireless USB Controller. It is a simple and easy to install you just have to plug in the Unifying receiver. The universal USB controller which accepts a standard USB port doesn’t require another remote controller. It supports OS like Windows 98, ME, Vista, 2000, 2003, XP, 7, 8, 8.1, 10; Linux Ubuntu, Linux Mint, Android Linux. It includes retrogaming OS RetroPie, Recalbox, Happi Game Center, Lakka, ChameleonPi, Piplay. The iNNEXT Wireless USB Controller is compatible with PC, Notebook Computer, Laptop, MacBook, Android Smartphone that connect with a USB OTG cable. The Rayvol Company has produced a unique design for your SNES Classic Mini Edition. The distance covered by the wireless device is extended up to 20 ft away which means you can comfortably play your game from the distant. The device consists of Turbo/ Auto functions for every button present in the controller. The battery has powerful 800mAh AAA batteries which provide 100 hours of playtime. You can easily install the controller and the receiver in your SNES Classic Console. 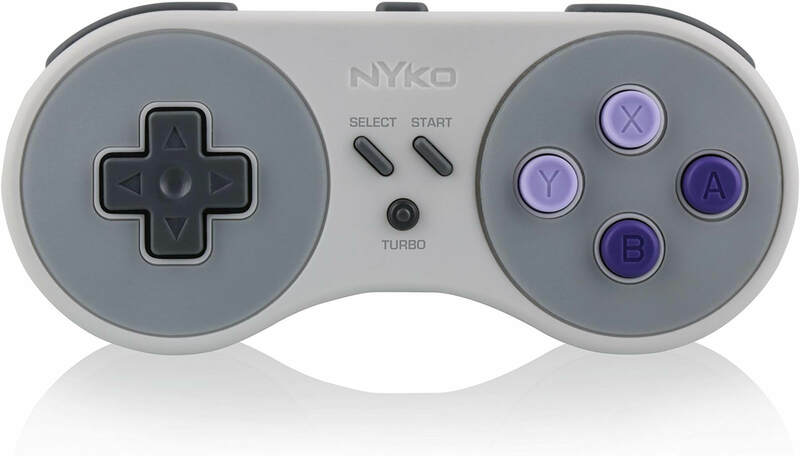 The Nyko Company has packed up with a super miniboss wireless controller. The controller is updated to capture 16-bit era for SNES Classic version. The amazing wireless controller is installed with RF wireless technology which helps you in playing from up to 20 feet distance. The Super Miniboss Controller is powered by an internal rechargeable battery and is charged through the Micro-USB port. You are also getting a power button present on the top of the controller. If you want to reach the home screen hold the turbo and pressing the select button. 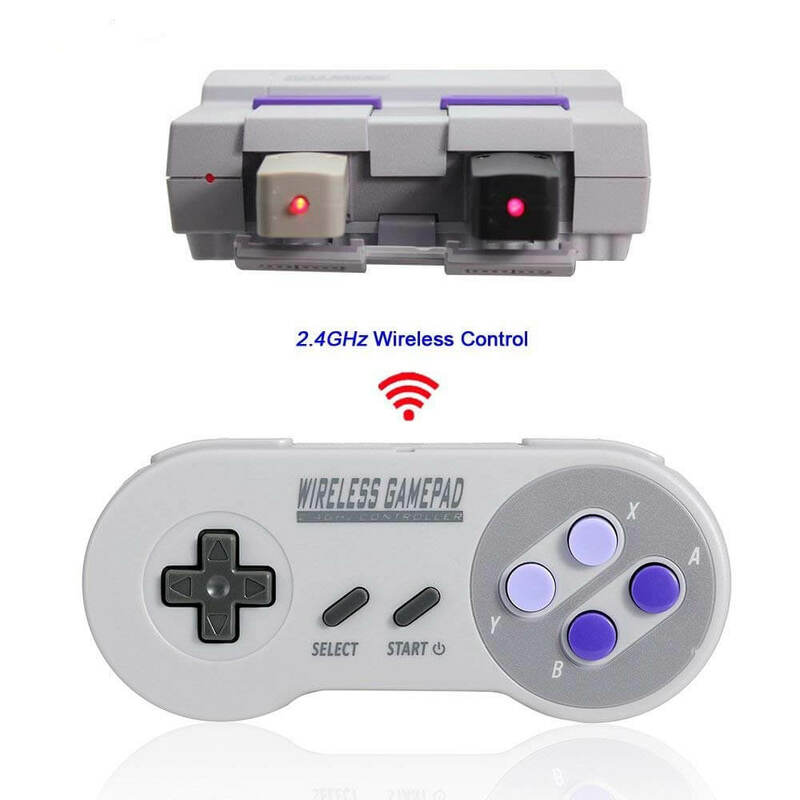 The Tankey Company has manufactured with new featured Wireless SNES Controller. This device makes you feel comfortable with the distance of 30 feet. The amazing controller is compatible with the new 2017 edition the super Nintendo classic Mini Edition of the gaming system. It is featured with turbo and clear function. The full battery works about 100 hours which is unbeatable power. The SNES Controller support six-axis sensor with motion feature and a dual motor vibration. The controlled can use joypad and gamepad controller in the Console together in the NES version. The Jadebones Company have designed an amazing Wireless Turbo Controller which give a superb gaming experience. You can fully enjoy playing your Nintendo Super NES Classic version with the Turbo Controller. You can sit comfortably at a distance of up to 16 feet away and enjoy your adventurous games. 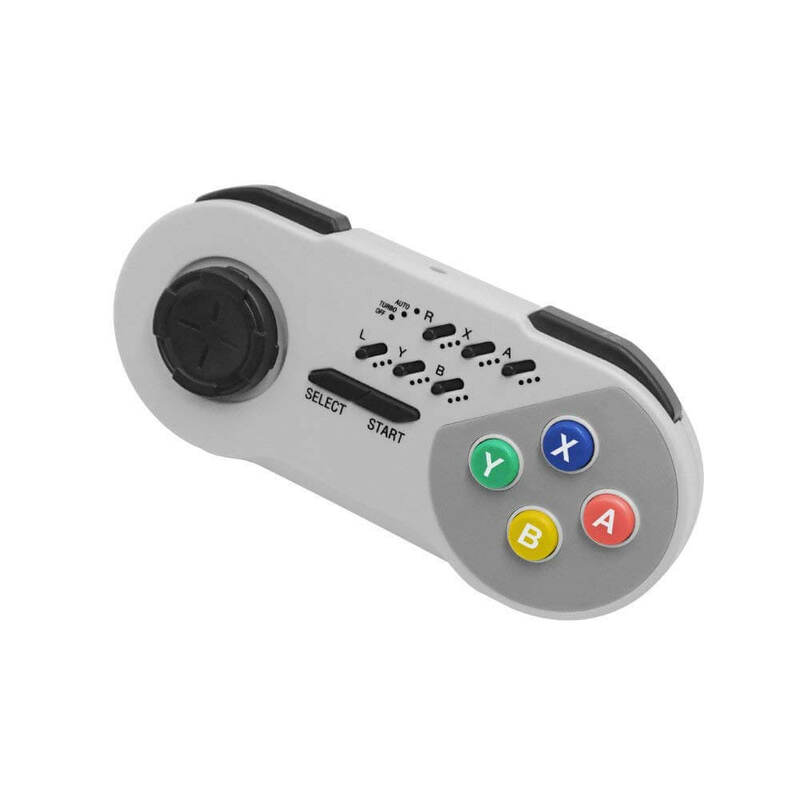 You are getting 6 Turbo button that displays every action button for quick/rapid fire games. In case you are not responding for 3 minutes, the controller will automatically enter sleep mode without disturbing you. if you want to resume the game just press any random button of your wireless controller. So, these were the List Of Best SNES Controller WIreless And Originals by reputed companies. 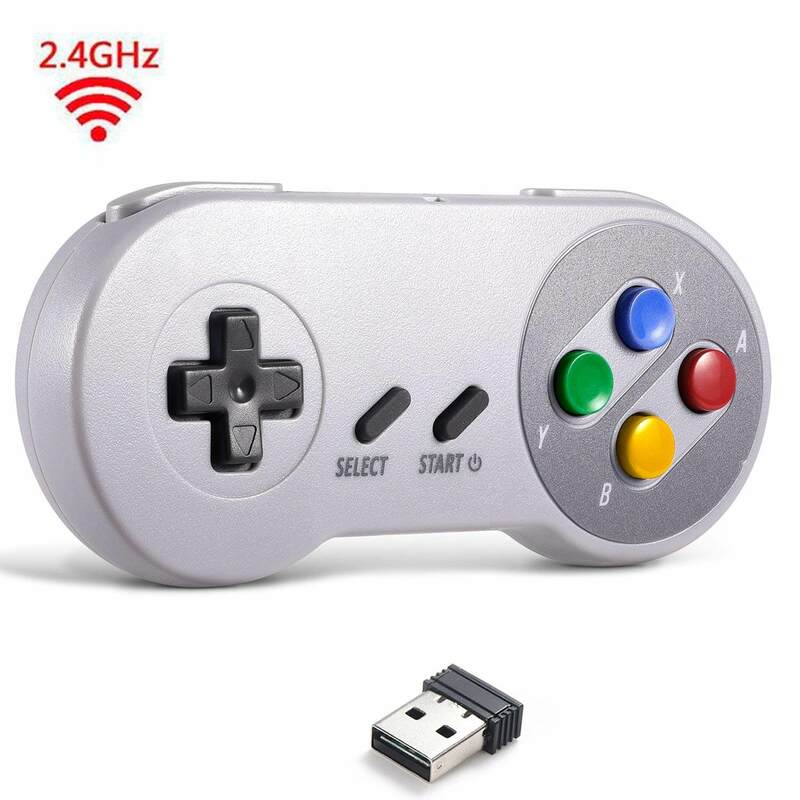 These are the best ever wireless SNES Controller available in the market so, if you want to buy, then these are just perfect options. 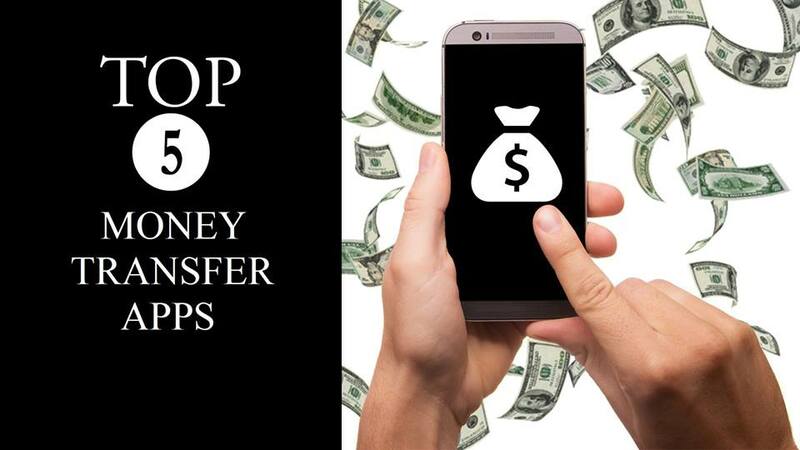 These have great features hence, you don’t have to think twice before buying. 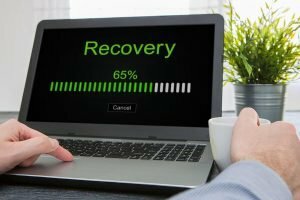 I hope you liked this article and have a great experience with these best products. Don’t forget to leave your precious comments below and share it with your friends who love playing games.